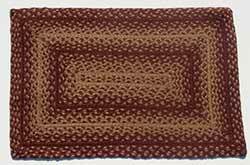 Apple Cider Rectangle Jute Rug, by IHF. 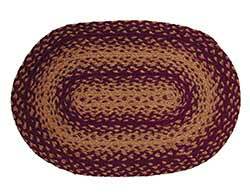 The Apple Cider braided jute rug features a palette of barn red, olive green, and natural tan. This is for the 20 x 30 inch Rectangular Rug. Jute is a natural fiber, considered to be a sustainable, environmentally friendly material. Water repellent, safe to put near a fireplace, spot clean with soap and water (or dry clean). As with all dyed jute products, take care to use a pad or otherwise protect items used with them, as colorfastness can be an issue. Features a rustic, woodsy palette of black, dark green, and shades of tan. Secure to a stair, or use as a small table runner! Features a country primitive palette of black, plum, and tan. Secure to a stair, or use as a small table runner! Features an Americana-inspired palette of burgundy, tan, and navy blue, perfect for your country home decor. Secure to a stair, or use as a small table runner! Burlap Star Black Chair Pads, by IHF. The Burlap Star Black braided jute collection is the same as our popular Burlap Star, only the colors are inverted - main body is black with accents of natural tan jute, and an appliqued star. This is for the Chair Pad. Features a country palette of burgundy, tan, and cream, for a warm and cozy look! Secure to a stair, or use as a small table runner! 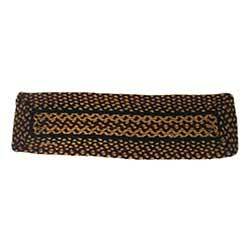 Ebony Black and Tan Braided 48 inch Table Runner, by Olivia's Heartland (formerly IHF - India Home Fashions). One of our most popular braided jute patterns, the Ebony Table Runner features braiding in classic primitive black and tan. 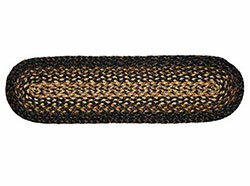 One of our most popular braided jute patterns, the Ebony Chair pad features braiding in classic primitive black and tan. 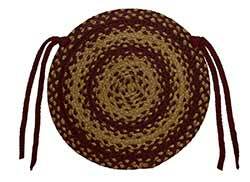 One of our most popular braided jute patterns, the Ebony Coaster features braiding in classic primitive black and tan. 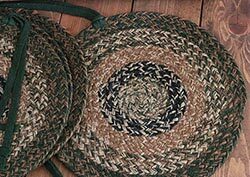 One of our most popular braided jute patterns, the Ebony Placemat features braiding in classic primitive black and tan. 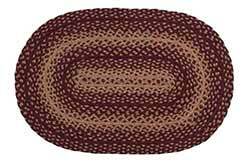 Ebony Black and Tan 20 x 30 inch Oval Braided Rug, by Olivia's Heartland (formerly IHF - India Home Fashions). 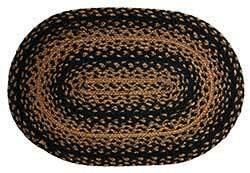 One of our most popular braided jute patterns, the Ebony Rug features braiding in classic primitive black and tan. 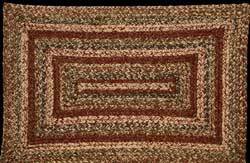 One of our most popular braided jute patterns, the Ebony Rug features braiding in classic primitive black and tan. 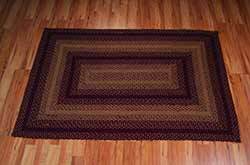 Ebony Black and Tan Braided Rectangular Rug / Floor Runner, by Olivia's Heartland (formerly IHF - India Home Fashions). 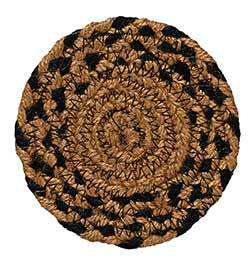 One of our most popular braided jute patterns, the Ebony Rug features braiding in classic primitive black and tan. 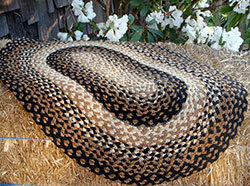 Ebony Black and Tan 27 x 48 inch Oval Braided Rug, by Olivia's Heartland (formerly IHF - India Home Fashions). 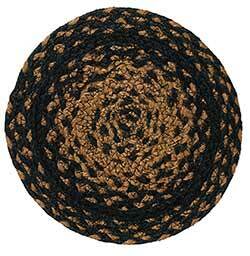 One of our most popular braided jute patterns, the Ebony Rug features braiding in classic primitive black and tan. 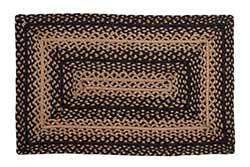 Ebony Black and Tan 27 x 48 inch Rectangle Braided Rug, by Olivia's Heartland (formerly IHF - India Home Fashions). 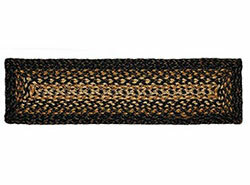 One of our most popular braided jute patterns, the Ebony Rug features braiding in classic primitive black and tan. One of our most popular braided jute patterns, the Ebony Stair Tread features braiding in classic primitive black and tan. 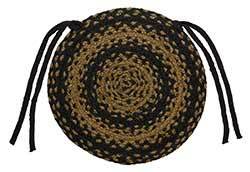 One of our most popular braided jute patterns, the Ebony Trivet features braiding in classic primitive black and tan. The Stallion pattern is made up of black, golden beige, and aged ivory colors. 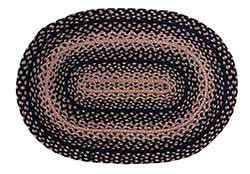 This is for the Oval rug, measuring 20 x 30 inches - perfectly sized for in front of doorways or in front of the kitchen sink! Features a striking palette of black and tan, perfect for your country primitive or rustic home decor! 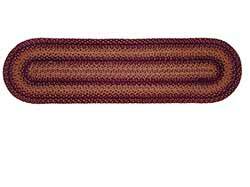 This is for the braided stair tread, in the oval shape. One of our most popular braided jute patterns, the Vintage Star Burgundy Table Runner features braiding in classic country burgundy and tan. One of our most popular braided jute patterns, the Vintage Star Burgundy Chair Pad features braiding in classic country burgundy and tan. 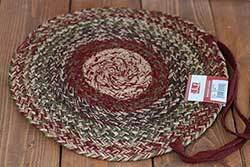 One of our most popular braided jute patterns, the Vintage Star Coaster features braiding in classic country burgundy and tan. 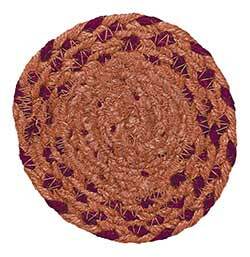 One of our most popular braided jute patterns, the Vintage Star Burgundy Placemat features braiding in classic country burgundy and tan. One of our most popular braided jute patterns, the Vintage Star Burgundy Rug features braiding in classic country burgundy and tan. One of our most popular braided jute patterns, the Vintage Star Burgundy Tread features braiding in classic country burgundy and tan. Woods Jute Chair Pads, by IHF. The Woods braided jute collection features a palette of greens, dijon, and natural tan. 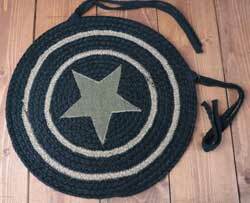 This is the Chair Pad, comes in a set of FOUR. Measures 15 inches in diameter, and has two sets of ties.